Many of Peradeniya’s graduates from the 50’s and 60’s look back nostalgically past the serene surroundings and grand structures of the famed campus to the glory of her academic achievements, the brilliance of the intellectuals it produced, and most importantly the simple inspiration of its atmosphere. Those moments of genius, the hours of passionate discourse and the joy of intellectual stimulation seem to have all but disappeared from what used to be the home of the Social Science and Humanities departments of the University of Ceylon, but for two days last week, some of that clarity in the air of its heyday seemed revived. Intellectuals from around the globe gathered on the premises of the Faculty of Arts to mix, mingle, discuss and debate ‘Social Sciences and Humanities in 21st Century Sri Lanka’ at the first International Conference on the Social Sciences and the Humanities (ICSSH). The main theme under which presentations were made over the two days was “Knowledge Society, or Knowledge for Society”, a reflection of the fact that the ICSSH, as according to organizing Chair Prof. C. Wickramagamage, hopes to “reinstate the human subject” to the centre of the knowledge production process, which she believes has in fact come to “marginalize the human subject in whose name knowledge generation is, or ought to be, undertaken”. The academics at the Faculty of Arts, “far from being abstract thinkers living in ivory towers, are interested in knowing how best to deal with social problems and issues that are the inevitable outcomes, unfortunately, of the advances made in sciences, economic development and technology”, Dean Prof. A. Abhayaratne asserts. The inauguration of such an event as ICSSH, which the Vice Chancellor of the University Prof. S.B.S. Abayakoon hopes will be become an annual fixture in the faculty’s calendar, marks the fact that “the Arts Faculty is ready to face the challenges to its academic domain as well as to navigate the faculty in new directions”. What these challenges are, is no secret, as recent FUTA and Students’ Union action has brought problems within the tertiary education system of Sri Lanka, even momentarily, to the fore of national attention. But the conference was concerned with much more than just the issues of education in Sri Lanka, and with the presentation of approximately 60 papers, brought under its broader theme those including ‘Knowledge, Equity and Development’, ‘Governance, Rights and the Discourse of Development’, ‘Transforming and Transformative Education’, ‘Revisionist Representations – History, Arts, the Media’, ‘Conflict, Mediation, Security and Human Well-Being’, ‘The Environment, Business and Entrepreneurship’ and ‘Sri Lanka: In the Region and In the World’. Presentations on topics ranging from women, empowerment, industries, environment, human-animal conflict, MDG’s for 2015, public accountability, post-conflict development, the psychology of education, kandyan dance, literary criticism, ethics, IT, globalisation, identity and even Facebook opened up debates and discussions that flowed from the sessions into tea breaks and lunch buffets. Many of the presenters were positive they would come back for the next series of sessions, adding that discussions following their presentation were enlightening and encouraging. “On the whole, the sessions were informative and interesting and some of the papers were quite thought-provoking” shared Crystal Baines, an undergraduate at the university, “but the real treat was the opportunity to hear some distinguished scholars and great thinkers of our times share their ideas”. “It was amazing how even if the topics of the keynote addresses were not of particular interest to you, the ideas were so lucid and well-put that sitting through the 45-minute lecture was a pleasure!” another student, Samitha Senanayake enthused. True enough, if the key-note speakers were not commended with enthusiastic applause, they were followed out by a stream of participants and fellow speakers with questions, comments or bones to pick! – A sure sign of the audience’s serious engagement. First of these distinguished speakers was President, Pugwash Conferences for Science and World Affairs and Deputy Chairman, Governing Board of Stockholm International Peace Research Institute, Jayantha Dhanapala. 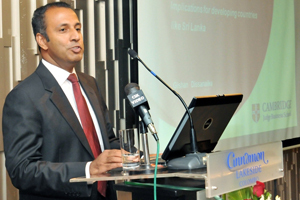 His provocative speech on ‘The Formulation of Foreign Policy in Independent Sri Lanka’ placed the topic in the sphere of a “legitimate public concern”, questioning Sri Lanka’s response, to “shirk or rise to the challenge” of fixing its international relations. ‘Is there a Future for the Social Sciences and Humanities?’ Gishan Dissanaike, Adam Smith Professor of Corporate Governance at the University of Cambridge asked, in his address. “The harsh reality [is] that no university should have to say their students are unemployable” he said, pointing to the problem of tax-run universities producing a majority of graduates in what are generally considered non-income-generating fields of study. He drove home, with wit and fact, the idea that Sri Lankan departments of Social Sciences and Humanities need to begin focussing on quality over quantity. A trend for voicing honest opinion whether it be to the distaste of those gathered was thus set in the first day of the conference, testimony to the integrity of the academics gathered at the event. Following suit, or simply heeding the alma mater of her memory, Emeritus Professor of Law Savithri Goonesekere addressed the conference on ‘Imagination, Thought an d Development’ in order to set some more people at their unease. Tracing the development of Sri Lankan universities and their decline in the recent past to badly formulated education/linguistic/recruitment policies she stressed “the realities have not changed... the quest for applied knowledge undermines the relevance of imagination, thought and reflection”. “Have our failures... impacted to perpetuate intolerance and violence that has been generated on campuses?” she asked of her fellow academics and teachers, “should we transform the guru-gola relationships that we often see today in hierarchical terms of an empowered teacher and a disempowered student, to the ‘Guttila Kavya’ model of a talented student who challenges the teacher?” As one might expect, this was one address that struck home with the attending undergraduates! From tertiary education to the focus on employment-driven degrees, Prof. Goonesekere addressed the issues of “sustainability” in development, and the attitude changes required to bring about such development. 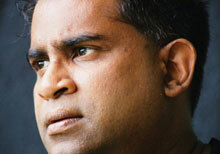 Avid blogger Dr. Pradeep Jeganathan who is more (or less?) significantly Senior Consultant Social Anthropologist for the Consortium of Humanitarian Agencies took a slightly different approach to his keynote address on ‘Politics, Ethics and the Human Sciences’. Wittily he drew on Althusser, Foucalt and enlightenment trends in “scientific inquiry”, in order to bring to light the political implications of disciplinary practice, questioning the construction of the relationship between student and subject. In the light of such heavily philosophical discussion, Prof. Priyan Dias from the Department of Civil Engineering, University of Moratuwa, made during the final panel discussion on ‘Priorities for Higher Education in 21st Century Sri Lanka: Natural Sciences and Technology versus Social Sciences and Humanities’, the important yet seemingly disregarded observation that “the humanist project as we see it, even as I see it, is an elitist one”. And as Nishan de Mel, Executive Director, Verite Research, concluded his take on the panel discussion, “the humanities is not about humanising, but about making sense of the complexities of being human”. Many questions were raised at the conference, not only on the themes under discussion, but also on issues such as funding to facilitate such discussion, which is, unquestionably a problem. But the one that seemed to nag the most was whether this was really a Knowledge Society or Knowledge for Society. If, as the Chair pointed out at the inauguration of the conference proceedings, the human must be returned to the centre of knowledge production, and if knowledge is to be produced for society, then what are the knowledge producers doing to translate and transcribe that knowledge for society? And maybe within Peradeniya’s halls of education there still dwells a spirit capable of inspiring transformation, but even if the academic in his “ivory tower” is driven to search for this knowledge for society, we absolutely must also stop to ask: is society for knowledge?